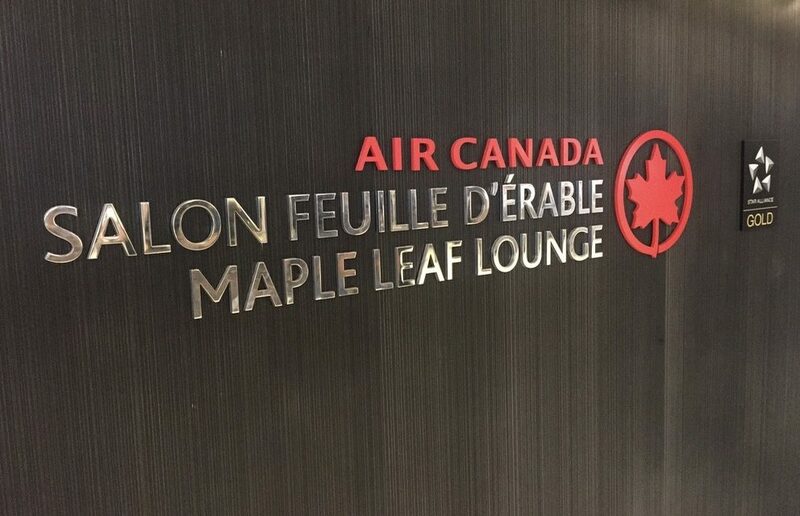 My visit to the Air Canada Maple Leaf lounge at Montreal’s Pierre-Elliott-Trudeau International Airport was part of my journey from Canada to India via Zurich. This elegant lounge was a great precursor to my throne seat Swiss Air Business class ride to Zurich. Thanks to my Nexus card, security screening was quick and easy. The Air Canada Maple Leaf lounge is located near Gate 52, and bit of a walk from the security check point. The entrance to the lounge is located on the main floor while the lounge itself is one floor above. A quick scan of my boarding pass and I was on my way. Beside the check-in desk was a single elevator that took passengers to the lounge. Or two sets of stairs leading to the lounger foyer. The foyer of the lounge is absolutely gorgeous with lots of plants and has a warm color tones on the walls and sealing. Around the corner from the foyer is the main lounge with a bar located in the center and seating along the large windows which offered plenty of natural light. Understandably, seating by the windows was very popular with passengers soaking in the sun with great views of the tarmac and the landing strip. Usually, private pods are located in the back with low lights, not here. The private pods offered passengers/avgeeks great views of flights landing and taking off, while seated in comfortable recliners and handy media setup. The lounge included a private area right at the back. It seemed like a great space for a business meeting or a meetup, away from the busy areas. The staff and food service were switching from Lunch to Dinner service. So while the open kitchen/hot food service was closed, the food options were limited to soups, salads and dessert. Beverages on the other hand were well stocked and good to go – wines, beers on tap, even hand crafted cocktails at the bar. The bar tender was hard at work, whipping up cocktails on demand. While there was a menu around, the bar was happy to make any cocktails as long as they had the ingredients handy. My off-menu request for an ‘Old Fashion’ was met with and the drink itself was spectacular! Kudos. This Air Canada Maple Leaf Lounge in Montreal is one in 22 award-winning Maple Leaf Lounges. 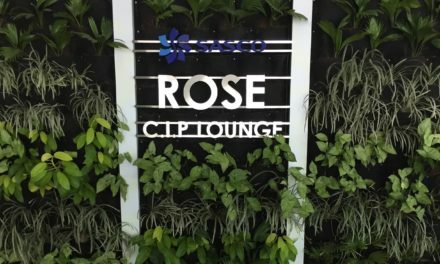 The lounge service is impeccable and the decor is warm and welcoming. Other lounge options in Montreal International terminal include a Air France/KLM lounge, Desjardins Odyssey Lounge and Montreal National Bank World MasterCard Lounge. When flying out of Montreal, the Air Canada Maple Leaf lounge is my go-to as a star alliance gold member.